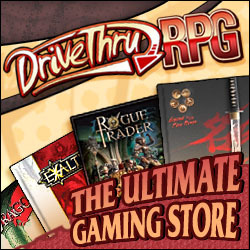 We're participating in the current charity bundle on DrivethruRPG.com. All proceeds go to the National Center for Missing and Exploited Children. April is National Child Abuse Prevention Month, and I can't think of a more worthy cause. The package includes well over $100.00 worth of gaming PDFs including the Hope Prep Freshman Handbook for M&M3e. LINK TO PACKAGE. The latest BAMF Podcast features several writers discussing their work for the ICONS system. Low and behold, the crew at BAMF were kind enough to invite John Dunn along for the discussion. It was a fun chat, and I hope folks find it both entertaining and informative.